Welcome back to DIY wedding week! We had a garden wedding (with pink lemonade, champagne, and petanque) so most of this stuff went inside in the drinks/gifts/mingling rooms. 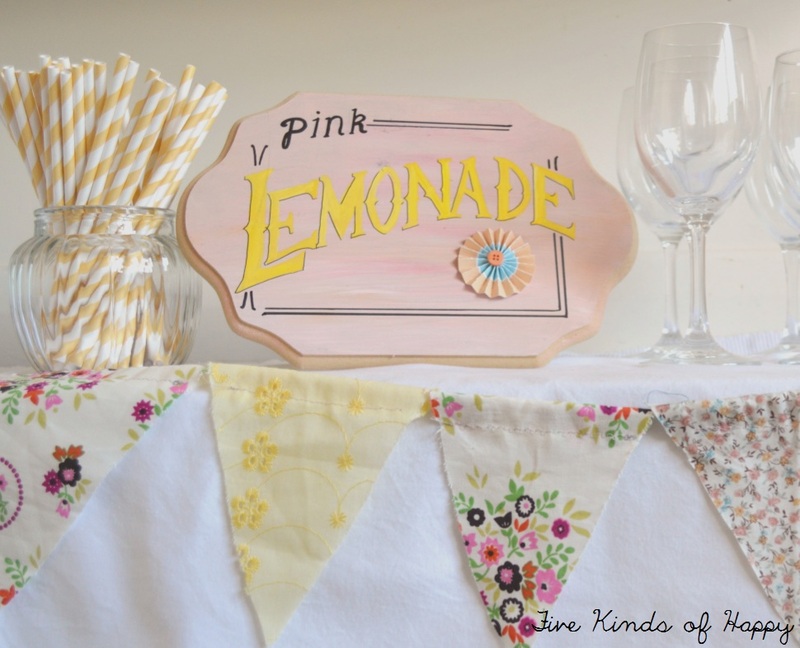 I painted the Pink Lemonade sign based on some vintage signs on the internet, and sewed the bunting very roughly out of some of my favourite fabrics. The yellow fabric was worn by my mum as a bridesmaids dress years ago. Just a tip: Be extremely specific with your instructions if you are leaving the set-up to someone else! I secretly wish I hadn't left it all to the venue staff, and if you are a design freak like me I recommend doing it your yourself with a few helpers. And by design freak I mean control freak. 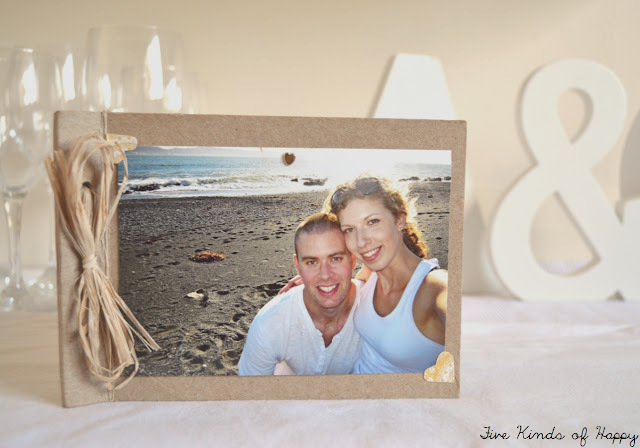 This little photo book for guests to look at, was made just by glueing pictures onto a blank book from a craft store. Easy. 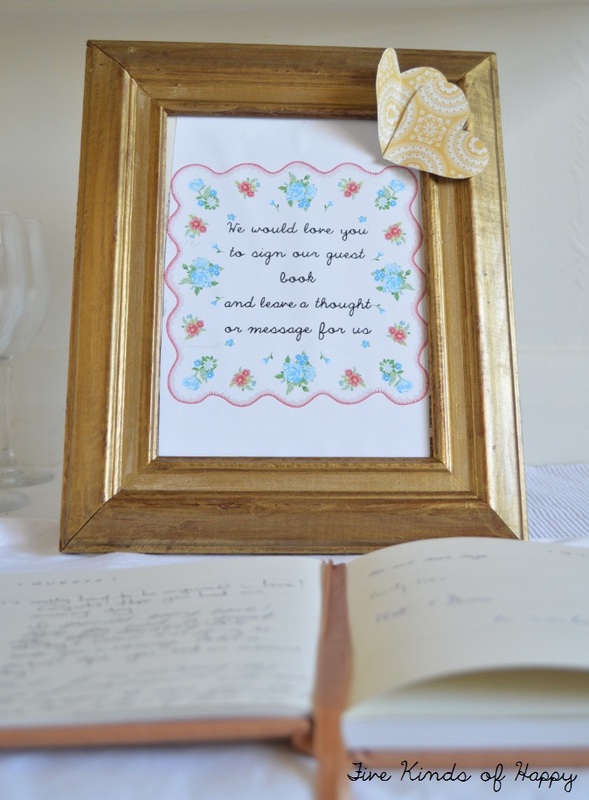 The guest book was a lucky find at a book shop a week or two before the wedding, and I bought the picture frame for $6 at a second-hand shop. It was all old and crusty wood, so I painted it a brassy gold, and then stuck a print-out of the sign onto it. The template for the sign was free to download from Eat drink chic blog. 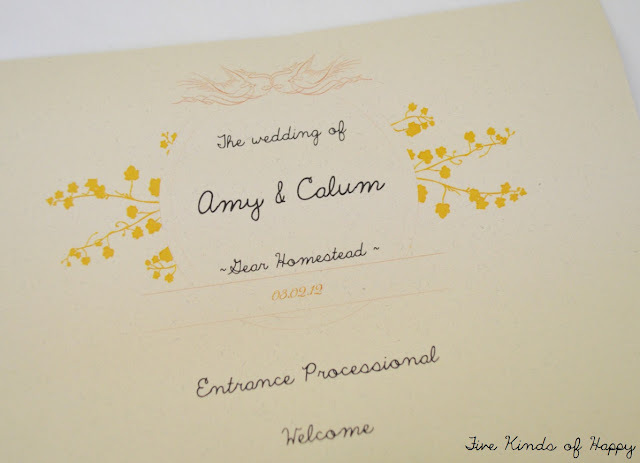 Likewise, I used a free downloadable template from Wedding Chicks website to create this 'logo' with our names. 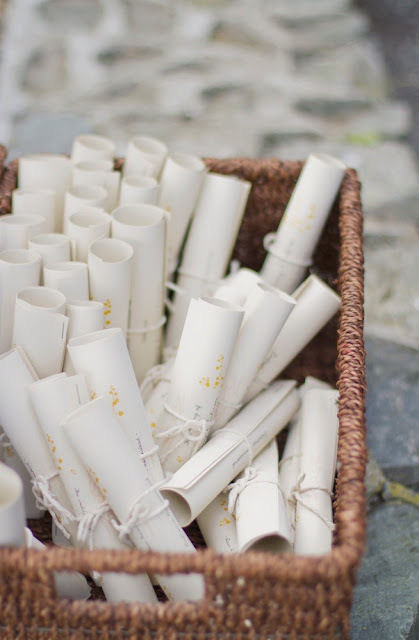 I then used it on top of the Order of Services which we printed out, then rolled up into little scrolls. On the day, they were left in a basket outside for people to take as they arrived to the garden. 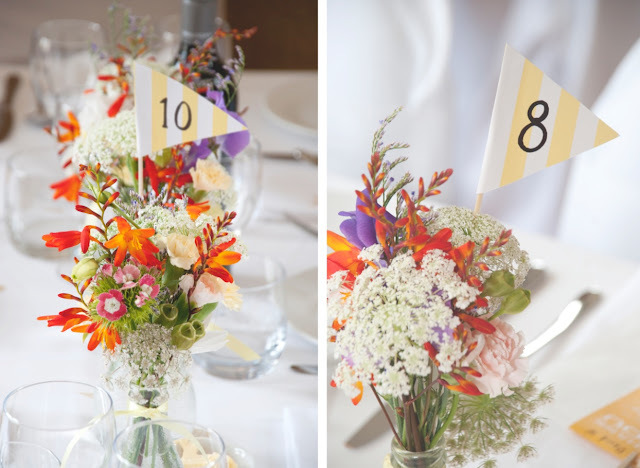 I love this photo by Liz Bebbington Photography of our table flowers. 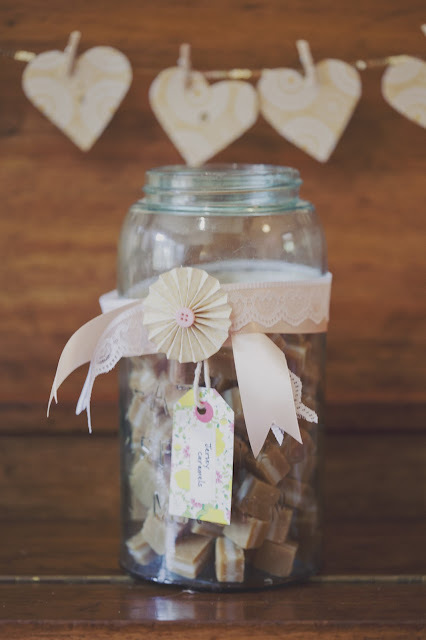 I had 3 little glass bottles on each table, and they were filled with garden flowers and little table number flags that I cut out from the paper of striped candy bags, and wooden skewers. The look was perfect - happy, sunshiney, and home-madey. 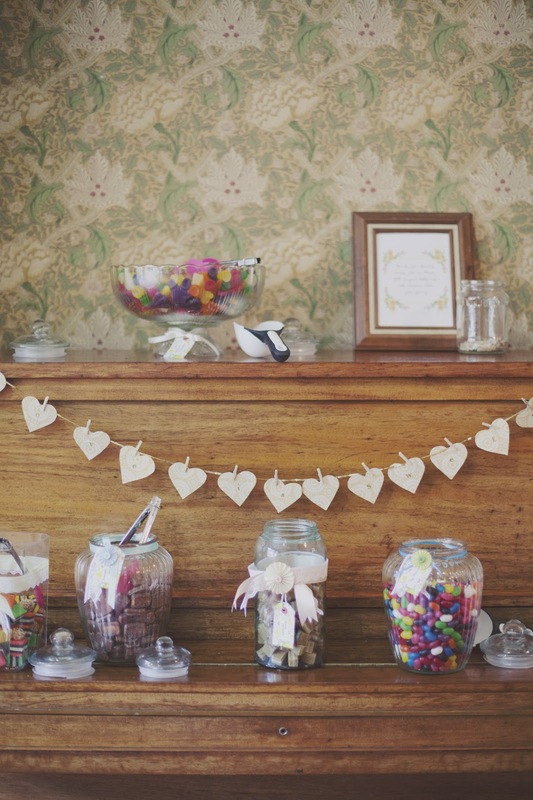 The candy buffet! I loved that there was an old piano we could put the candy on. I just collected jars over the months before the wedding (most were $6 at Farmers! woot) and then decorated them myself with ribbons and labels. The heart garland behind it says "Love is Sweet" with one gold sticker letter on each cardboard cut-out heart, which I then pegged to a gold string. 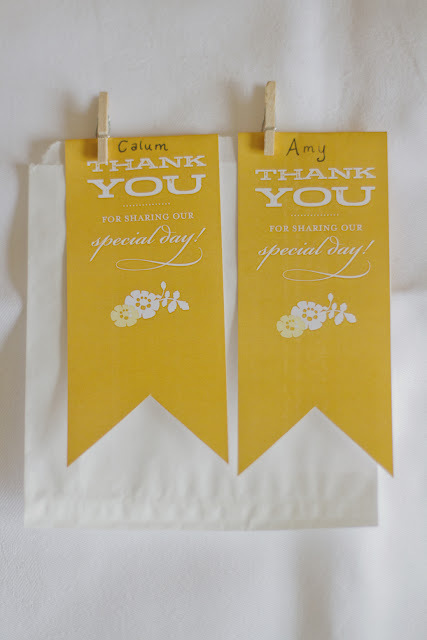 I then bought a pack of "$2 mix lolly bags" (Kiwis out there know what I mean - these are a classic paper candy bag that are super common in New Zealand) and downloaded these labels for free from Betsy White in yellow. The mini pegs came from the $2 Shop. These double as name-cards - they were just laid on the plate at each plate and then guests could go and fill up their own bag. For the cake, I bought some hot pink wooden birds and transformed them into cake toppers - with some paint, cardboard hearts, and popsicle sticks. And then, the day before the wedding, my Mum and I stayed at home and baked chocolate cakes. I think they turned out quite pretty! 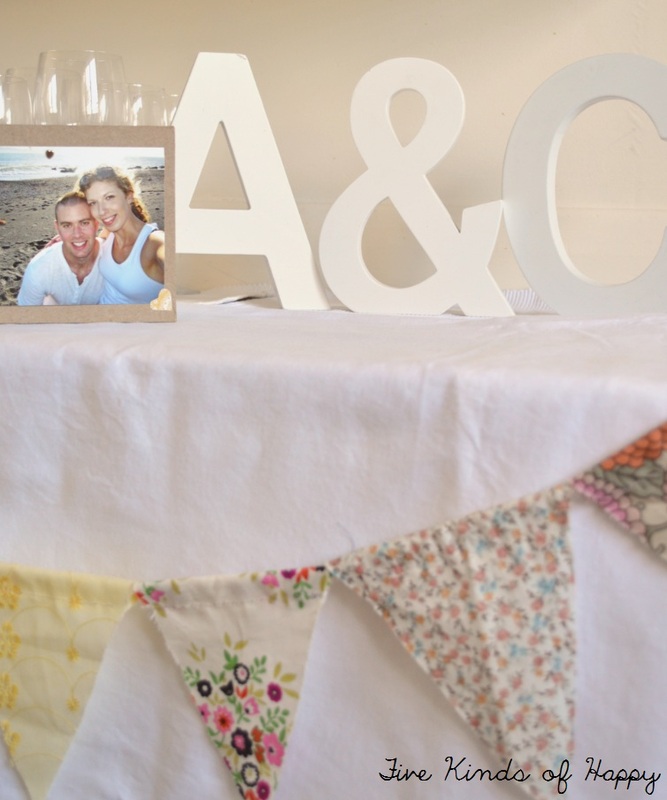 Phew, that was a lot of DIY... anyone out there had the same experience of feeling like you barely got a glimpse of all the details at your own wedding, because you were so busy with other stuff?? Tomorrow it's all about the pretty things - you know, like dresses and jewellery and tea parties. This is really lovely! I love the colors you used. love all these little details! 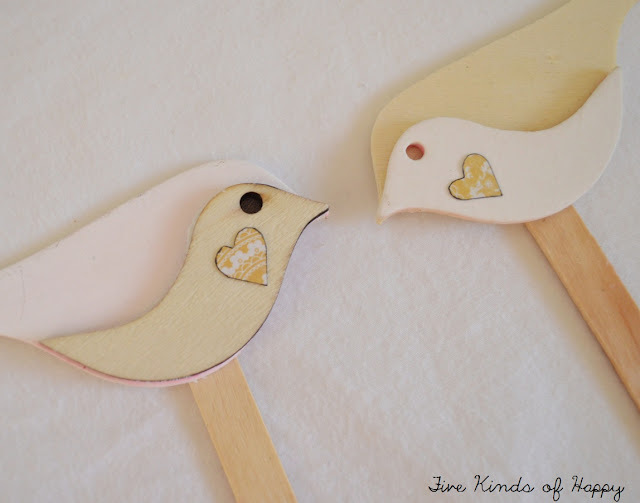 can't wait to catch up on your previous diy posts! 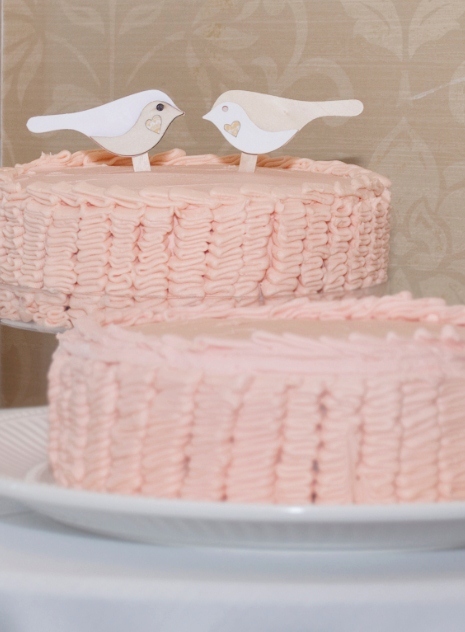 Love love love your cake!!!! So sweet. I'm catching up on my blog reading and loving this wedding series. 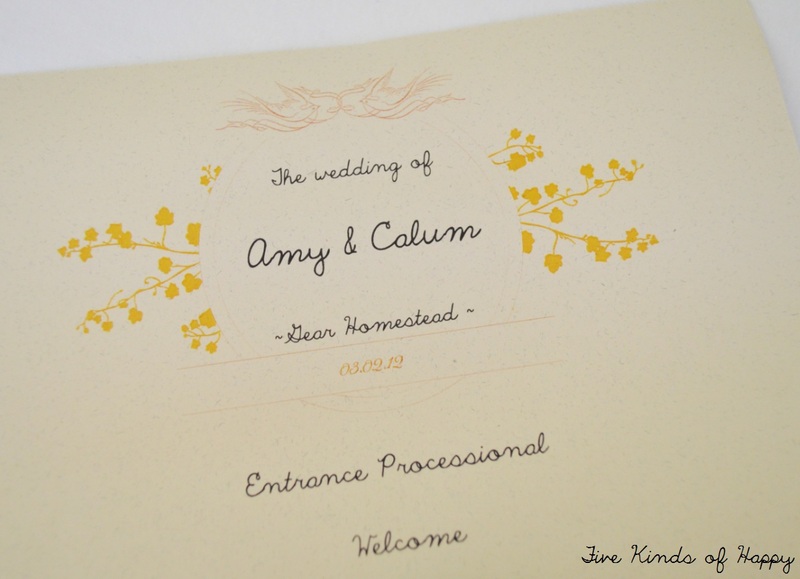 So many creative ideas and everything looks like it turned out wonderfully! I've been abit worried about leaving things to be set up by venue staff as well. Thanks for that tip, may have to insist that I'm there the morning of to check everything!